Welcome to my site! I'm so grateful you're here, and I'm excited to share my experiences. Addiction does not discriminate. I know. As an educated, athletic single mom and highly functional registered nurse, I still found myself gripped by addictions to opiates and alcohol in my early 30's. Desperately searching to find a way out of the dark, I tried various treatments, but struggled to find one that resonated with my values. Unwilling to settle or subscribe to a program that wasn’t meaningful in my life, my search led me to lasting recovery through a shift in the way I relate to my thoughts and myself. I came to understand that the substances aren't the problem - they are a coping mechanism that inevitably quit working - not to mention caused some severe consequences in my life! I used drugs and alcohol to numb, escape and avoid situations that felt too painful, scary or uncomfortable to deal with. I experienced a significant transformation when I started practicing mindfulness, and learned how to make healthier choices one breath, and one moment at a time. Since then, I've been consistently moving towards a life of Radical Self Love! 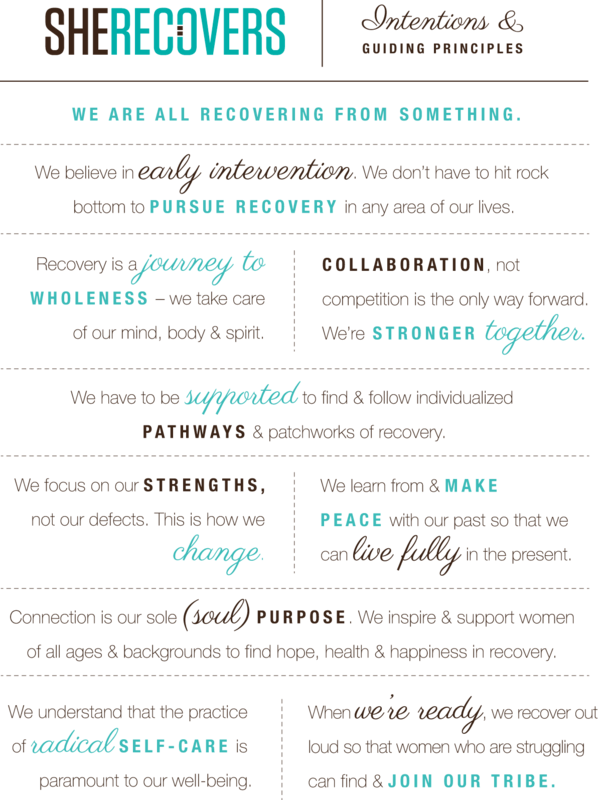 My recovery journey started years ago, and I've been officially "Sober Out Loud" since May 2016 - advocating, writing, and connecting with a purpose! I look forward to connecting with you on your journey - Cheers & Gratitude! My daughter Kaytlyn is a great source of pride in my life; she inspires me to always move towards being my best self. Some of my favorite activities are snow skiing, hiking, jogging, being near/on/in water, reading and sharing recovery with others. Cassie the Wonder Dog is my faithful sidekick – traveling near and far with me in my 1987 VW Vanagon Syncro. Writing is my passion. I’m working on my first book proposal, and have found that writing about and sharing my experience is the ultimate healing remedy. Check out my blog to learn more!